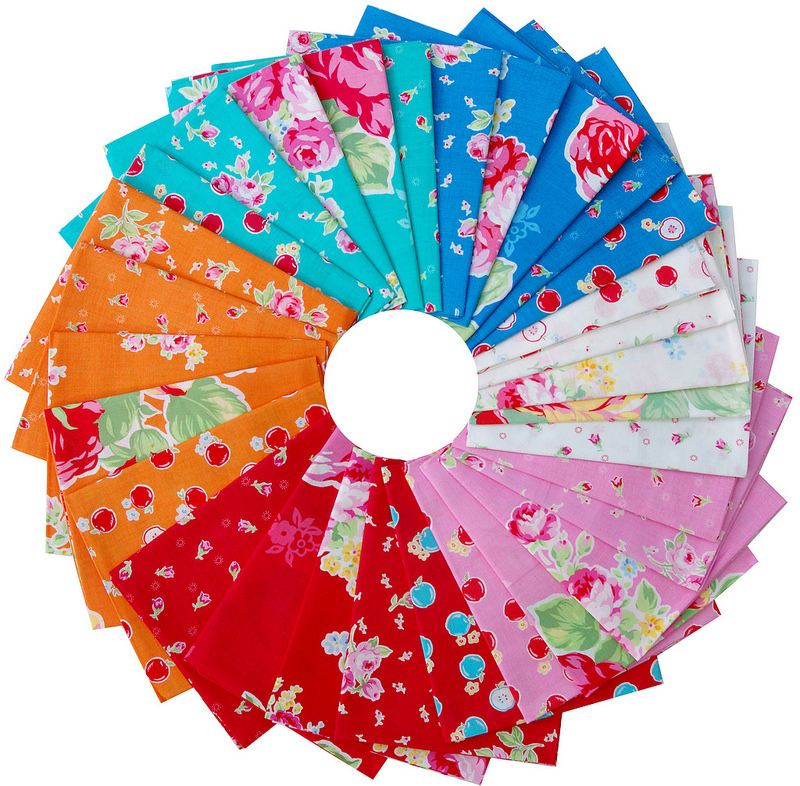 I am - and have long been - a big fan of Lecien's annual Flower Sugar collections and if you look carefully you'll often see snippets of these collections in my quilts or projects. Every year Lecien release a brand new range of vintage inspired floral prints which expands upon their previous collections. 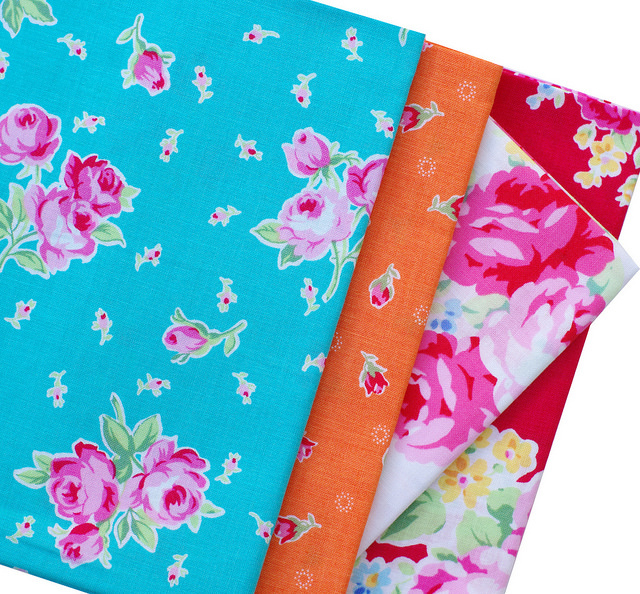 Beautiful florals, both large scale and small scale, and in particular roses and rosebuds are signature prints of Flower Sugar collections, all in stash friendly colors; colors that are easy to use and blend well with other collections. This year's collection also sees the introduction of the orange color palette. Perfect! I may have gasped a little as first sight - great orange fabrics are harder to find (than say blues, greens, and pinks), much like finding the right shade of red fabrics. How cute are these little apples! The full range consists of just five different designs, in six different colors. A total of 30 prints. 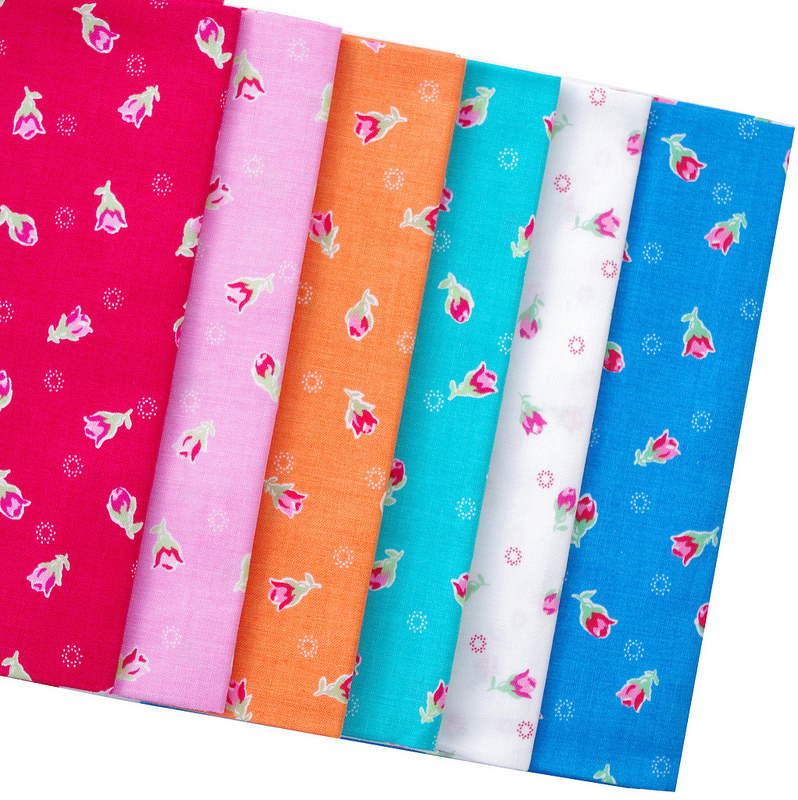 Not due for release until August 2014 - my FQ bundle is from Quilt Market Sample Spree and a lucky pick-up for me. I hope to cut into this bundle soon! I love this. Orange has been growing on me the past few years. 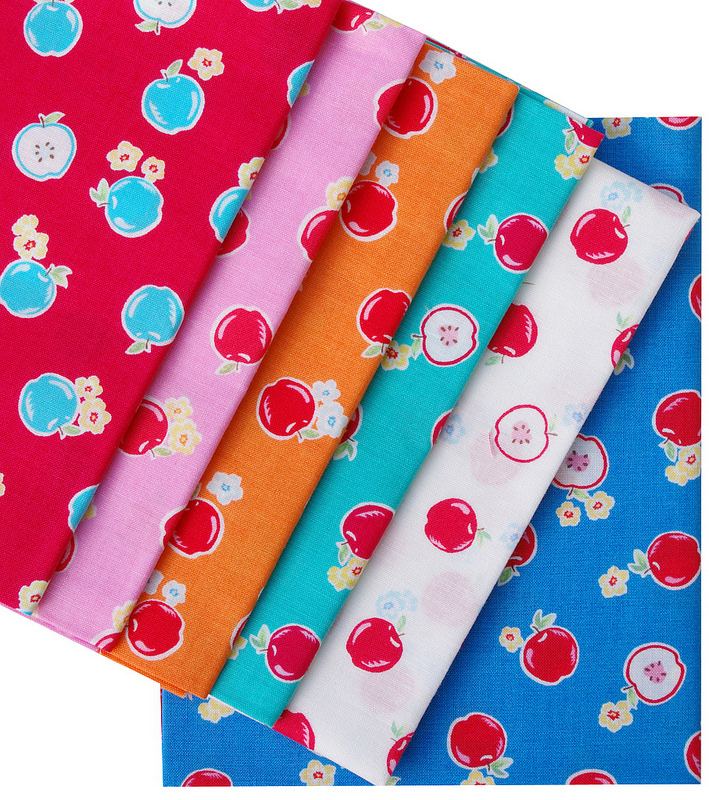 I love Lecien fabrics so much. It is easily hoard and stash worthy. I have several small chunks of the summer collection Just amazingly adorable. Oh, those apples! 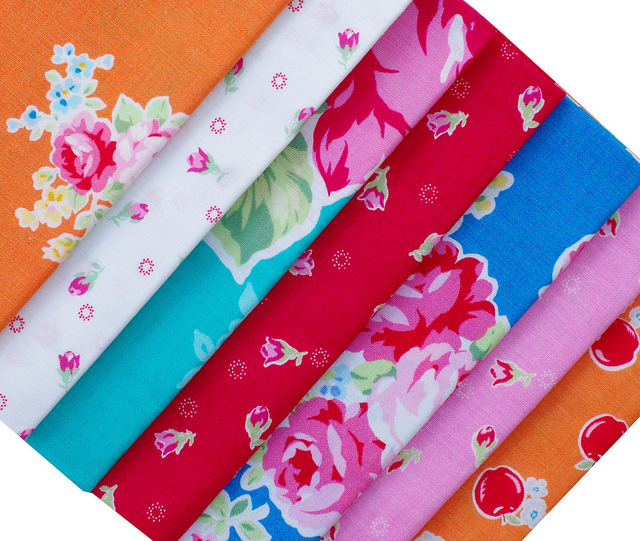 Thanks for sharing these luscious fabrics, Rita! Loooove your work! Great tiny roses and apples! Adorable. The orange is a wonderful addition to the line. I too love the Flower Sugar line and am excited to see more. The orange is a nice addition, but I was hoping for more lavender. I only have a tiny piece of lavender. I can't wait to see what you create with yours. You are so talented and I find your Blog inspirational. those colors are so vibrant. can't want to see it when the line is out. love it. Wow, these remand me Spring.Love them all!